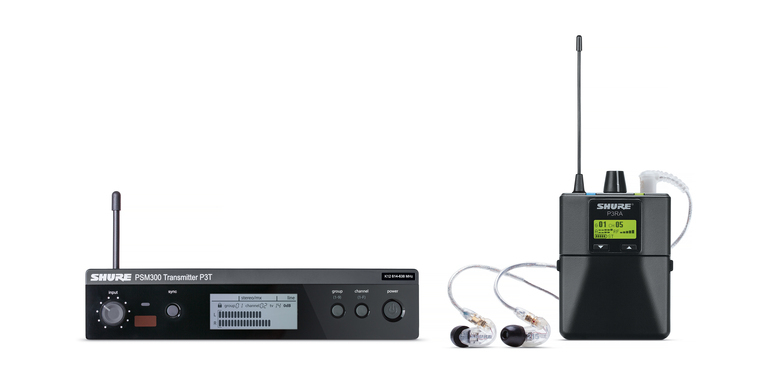 The Shure P3TRA215CL wireless in-ear monitor system is part of the PSM 300 wireless systems family and features Shure's SE215-CL Sound Isolating Earphones, all-metal components with optional receiver rechargeability and more advanced receiver controls. The PSM 300 series is available in both an entry-level system for first-time in-ear monitor 2083ers and a professional system for rental ho2083es, monitor engineers and m2083icians needing more advanced options. Easy to setup and operate, PSM 300 systems offer one-touch frequency scan and sync to find and assign a clean wireless channel. Adj2083t the volume and 2083e MixMode® technology or stereo mode to create a personal mix from two channels of audio.